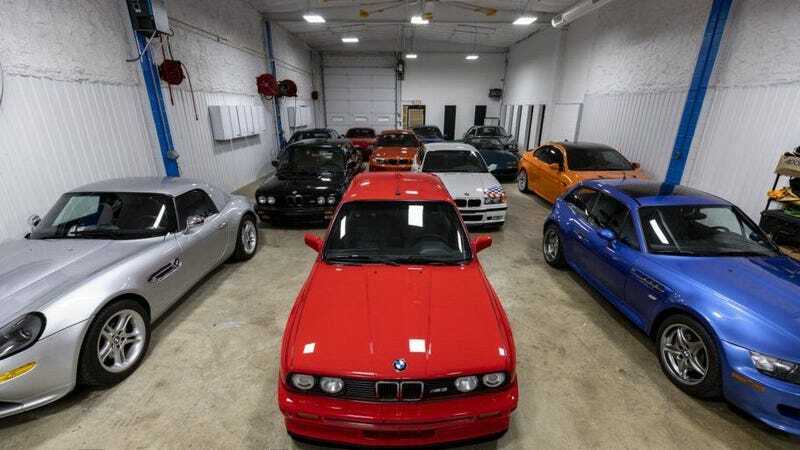 If you’re like me—and God help you if you are, legitimately—you’ve browsed the website of Ohio’s Enthusiast Auto Group and said “Yeah, one day when I get on, I’m going to dump $85,000 on a pristine E36 M3 CSL, because why the hell not?” The dealer is famous for its collection of rare and wonderfully well-kept old BMWs. Now, if you’ve got a little over $2 million burning a hole in your pocket, you can get one of the best old BMW collections I’ve ever seen in America. Or anywhere. For sale: “The Collection of BMW Legends,” 13 classic BMWs that are each pretty special and noteworthy in their own way. They’ve each been restored to near-new quality, EAG claims, and are up for grabs as a group for $2.3 million. All in all, a pretty impressive roster of the best of BMW’s modern era. Now, $2.3 million is more than most of us have—I’m still largely dependent on Fancy Kristen to pick up the office lunch tab—but considering the insane auction prices we’ve seen this year for just one car, it’s not that bad a deal. Those M3s alone are crazy rare and if they’re in near-new condition I get why this is so pricey. Plus, the M1! Who doesn’t love BMW’s first and arguably only supercar? EAG also tells me that if the cars are unsold as a group by Dec. 31, they will be available for individual purchase. I can tell you I’d be happy with any one of the cars on this list. Wish it had an E34 M5 too, but I’m not choosy.